Right-click on the tray icon and select "Add a remote folder". Insert the https:// prefix if it did not get copied. Then enter your Alfresco username/password. The next screen shows the Alfresco folders. Choose the folder you want to sync. 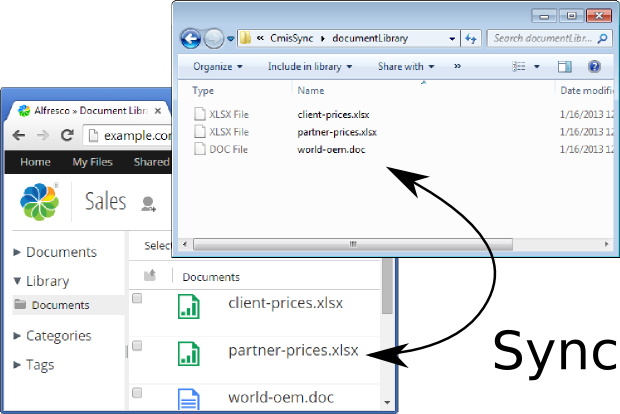 If you use Alfresco Share (like most companies), click "Sites", select your site, then click "documentLibrary". 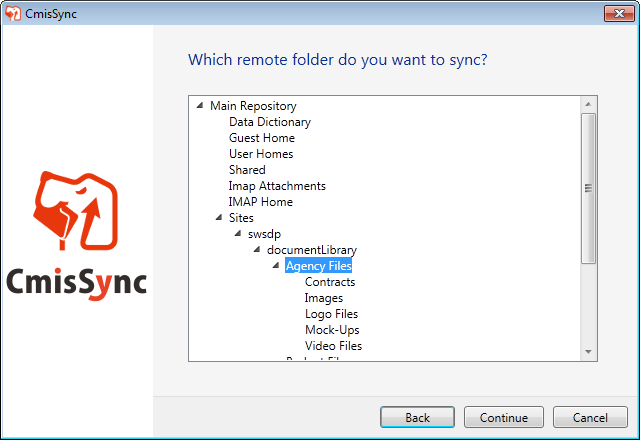 CmisSync will now sync Alfresco to your desktop, whenever you have a network connection. 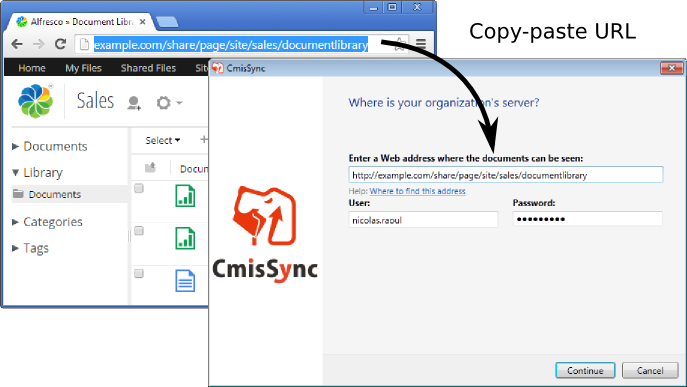 CmisSync does two-way sync, which means you can modify/add files. Should a conflict occur, a backup is made and you can handle it by choosing which version to keep.